IOTA is pleased to feature two commercial galleries for its Pop Up event. Studio 21 Fine Art has exhibited and sold some of the best contemporary Canadian art for over 30 years, to private and corporate collectors locally and internationally. The gallery represents established and emerging artists; Atlantic Canadians and others from the rest of Canada; painters, printmakers, sculptors and artists working in diverse media. There are over 1,000 artworks in their inventory, most of which can be seen on their website or explored, in person, in the gallery at 1273 Hollis Street. Studio 21 also attends art fairs in Toronto, Montreal, the US and Europe. Jason Holley thinks a lot about community and family, connection and relationships. It is his hope that these delicate little sculptures will become objects of similar contemplation. These are sized to fit the hand. The artist wants us to enjoy the feel of this work as well as it’s appearance. In his new chainmail ceramic sculptures Holley presents smaller work, scaled down to the jewellery that he also fabricates. Forms that resemble netting as well as chain, and even lobster traps, are joined and melded in sometimes awkward and sometimes elegant ways. In 2012, Jason Holley was nominated for the prestigious RBC Emerging Artist Award hosted by the Gardiner Museum, Canada’s only museum devoted exclusively to ceramic art. He studied at Memorial University of Newfoundland, the College of the North Atlantic and the Craft Council Clay Studio in St. John’s, Newfoundland. His chainmail ceramic sculptures were exhibited in the gallery at the Craft Council of Newfoundland and Labrador, the Cheongju International Craft Biennale in South Korea, the Art Gallery of Nova Scotia in Halifax and The Rooms in St. John’s, Newfoundland. He was awarded The People’s Choice Award at The Artist Project, 2012 in Toronto. DC: Carly: You have been learning to use the sextant – a navigational instrument that has been replaced by satellite based GPS- and you use also letterpress – a manual printing method replaced by digital techniques. What is your interest in these old methodologies? CB: There’s a romance to these older or seemingly ‘outdated’ processes, but I also feel a lot of anxiety around what Douglas Coupland has referred to as our modern state of being ‘smupid’ – we know everything and we know nothing. With GPS, for example, we know exactly where we are, but we often have no idea where that is. Trying to use and preserve lost forms of knowledge is a way to regain some control over how we engage with the world. There is something methodical and meditative about both navigation and letterpress that reframes how you look at space, language, and time that I find endlessly compelling. 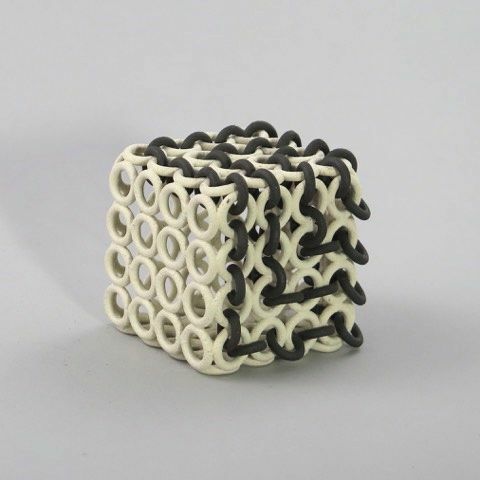 IOTA/MB: Jason, your past chainmail ceramic pieces speak to the delicate nature of your materials (Raku) as influencing the concept of the work, in their desire to fail, stopped only by your desire to have them strengthen through the firing process. Carly, you’ve been influenced by the writing of solo sailor Bernard Moitessier who abandoned sailing the first non-stop circumnavigation race in order to continue his spiritual journey. Is there a link to psychological survivalism in each of your practice? JH: the world is about to end in a firestorm of Jesus/zombies/robots/fire/flood/bird flu/bacon shortages… don’t you watch the news? Part of me is laughing at the question. Is my work about the fear of death? Yup. My morning coffee is about the fear of death. That said I’ve been living in very rural Newfoundland until recently, so I’ve become something of a survivalist out of necessity. Several weather events saw my community without power for a week or more. Hurricane Igor stranded us without any roads for about 10 days. Survivalism is also a ridiculous word out here; we just call it being a bayman. My life is one of wood stoves, well water, chickens, root cellars, gardens, and livestock… Cabins are stocked with enough food, fuel, and booze to last a year… or a good weekend party. It’s not survivalism it’s life. Very practical in a culture where my grandparents picked blueberries for credit at the store to buy warm clothes for the winter, and brought their share of wood to heat the one room school every day. If psychological survivalism is referring to the recognition that too many people live empty lives saving up for a bigger TV to watch Star Wars in the new release Blu-ray, while never getting their hands dirty… the fact that kids think carrots come from the grocery store, not the dirt, and that we are killing our selves trying to be happy so long as happiness doesn’t require self examination… then yeah. Ps: I’m wearing tie-dye waiting for my buddy to come over so we can smoke a joint and finish building the new chicken coop in the back yard…. for context. Ppps: I may have just used an excessively long rant to say exactly what Carly said in one sentence. IOTA/MB: Carly, you work in print-making, photography, video and sculpture, and in much of your pieces, you question proximity of the person in space and time and contrast this with the notion of “arriving”. Much like in the video Anywhere Else, your actions are subverted, and you say “futile”. Would you say that you are a process-oriented artist? CB: Process has definitely become more important to me as I realize the questions I ask myself might never be answered. It’s also why works intersect/overlap and in some cases, like Anywhere Else, will probably never really end. The ideas lend themselves to process as I’m interested in our obsession with moving, with travel, and with change. But it’s not about randomness in the traditional sense of ‘process art’. It’s more connected to a personal state of restlessness that I struggle with, the idea of never really ‘arriving’ in the sense of being settled and content – the futility of seeking a perfect life that can never really exist because of that very restlessness. This I think translates into a need to work with a variety of media, as well as why I am continually drawn to themes of sailing and seafaring as representations of the ultimate expression of wanderlust and escape from the confines of normal life. DC: Jason: I would really like to ask you -with astonishment – how you manage make these chainmail objects of various scales, given the difficulty of working with clay because of its time-sensitive characteristics – too wet, too floppy, too dry, too brittle. But perhaps there are secrets here that can’t be shared? JH: I love the lore of the Freemasons, even the magician’s guild that expels people for life if they reveal a simple trick. Tragically what I do has no secrets. Any first pottery class will teach you everything you need to know to do what I do. I’ve just spent a decade or more refining those basic skills. It’s great when people look at me like I’m some sort of wizard, but I think what I do is somehow related to that quote about technology… Something like “sufficiently advanced technology looks like magic” I believe sufficiently practiced skill is the same way. Actually, literally magicians practice their skills obsessively to make the skill look like magic; I guess your astonishment is evidence that I’m reaching a similar place. IOTA/MB: Jason, your works speak of the relationship of measuring success (or failure?) through a technical attempt of some sort, whether it is to show strength in fragility, does dark humour enter the work? JH: Hehe… dark humor… Black Bile (associated with earth) is the cause of depression in Hippocratic medicine. So yes my depression does dramatically enter the work. A mentor of mine, when he saw my first finished Raku piece brushed it off as a little materials pun. That hurt. Luckily occasionally someone will fall for my little tricks, and when they see what I’ve done it clearly messes with their heads. I am successful when what I’ve made can unmake a small part of someone’s confidence in reality. I think that would qualify as a dark joke, yes. IOTA/MB: Audience engagement seems to be important to both of you, in the way that someone can hold the ceramic piece nestled in the palm of his or her hand, or take in the instructional guides into thinking about their own lives. Your works seem to ask your viewer a question or challenge them to respond to the work. Is this your intention? CB: I’m usually asking the viewer the same questions I’m asking myself – as in, I don’t presume to have the answers. Sometimes my work is simply small interventions into how we might think about things differently. In a literal sense it’s like asking, ‘what if there was an instructional guide to life, complete with diagrams? JH: I think most clearly with my fingertips. It’s not surprising that what I make needs to be held to be fully understood. Yes I am challenging people to break the rules, touch the art and hoping that something happens when they do. JH: well, after the chicken coop is a greenhouse, then a new clothesline. As for the art? I am yearning to make some functional ceramics, so some cups, plates, and bowls will be made. I just received a small grant to take these new rigid shapes I’ve discovered out into nature. I’m going to ‘glaze’ some with moss, try to grow bonsai trees inside the tiny cages, bamboo in others will hopefully outgrow their confines quickly, breaking their way free. Who knows, something interesting might happen. Metal. I’m a little tired of making analogies of metal while working with the restrictions presented by clay. It makes a lot of sense to me that metal in the sculptures is inevitable… Like something I’ve been aspiring towards from the start. I am ADD, who the hell knows what happens next. CB: I’m working on improving my (distressingly inaccurate) navigation skills using a sextant and translating these calculations into a series of cyanotypes – using the same sun to fix my position and make a photographic print of my location. I’ve joined an online community of mainly retired mariners who are an incredible source of support and knowledge regarding early forms of navigation. I mainly lurk there and learn, but occasionally I get brave enough to show them what I’m working on and they tell me where I’ve gone wrong. I’m also finishing up a series of letterpress prints based on survival instructions from the ‘70s era inflatable life raft I use in my work. I hope to show these alongside the raft itself and the video piece Anywhere Else, which is an on going project that has me dragging the raft in different locations each year. In September I will be doing a four-week letterpress residency at the Women’s Studio Workshop in Rosendale, New York, followed by an exhibition.